The mission of the Hungry Owl Project is to reduce the need for harmful pesticides and rodenticides by encouraging natural predators. Hungry Owl Project is a program of WildCare, and we help owls by providing nesting boxes, doing research and monitoring of local owl populations, maintaining of owl boxes, and educating the public about nontoxic and sustainable pest management practices. Visit hungryowls.org for more information about owl boxes and how you can protect owls and other raptors in our region. Love owls and want to host an owl family on your property? Interested in establishing owls in your neighborhood to balance the population of rodents without using poison or other toxic chemicals? 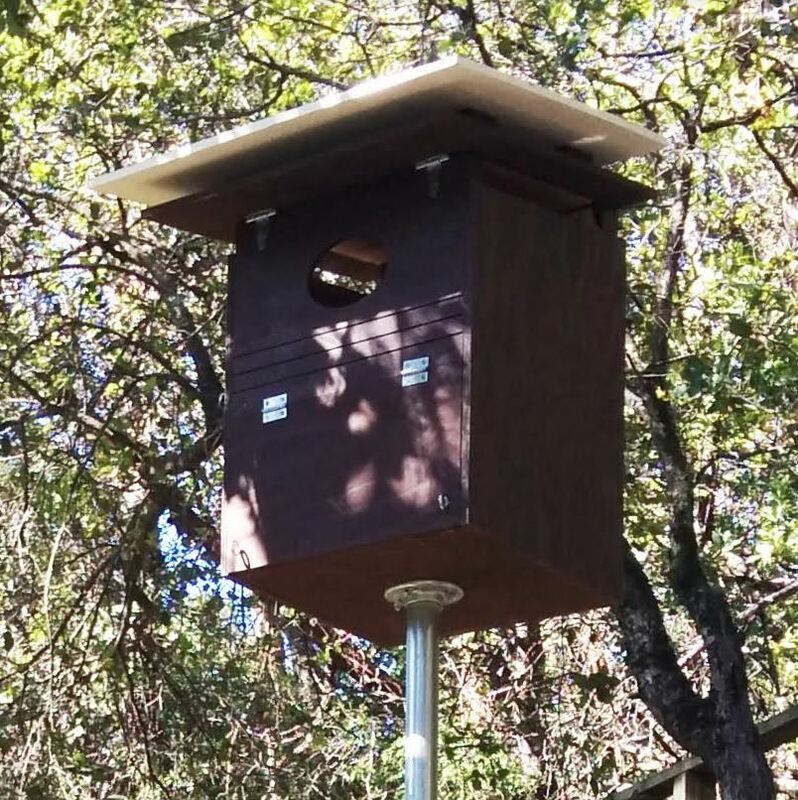 Fill out our owl box request form and someone will contact you to help with the next steps to getting owls in your backyard, vineyard, or orchard. WildCare members receive a discount on Owl Box purchases. Let us know you are a WildCare member when you fill out our owl box request form. Current prices are on hungryowls.org. Support our work by joining WildCare today! Your contribution helps us protect and rehabilitate owls, and many other species through our wildlife hospital, education, advocacy, and other programs. Not sure if your membership is up-to-date? Contact Ellyn Weisel, Director of Development at ellyn@discoverwildcare.org or 415-453-1000 x 31.